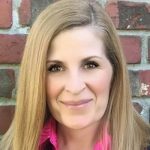 Caroline Vernon, Regional Director of Sales at CareerArc, has a diverse background in career management, talent development, executive leadership coaching & recruiting. Communicating layoffs is never an easy task. Delivering the news to exiting employees, remaining employees, and to the public requires detailed preparation. In the previous blog posts of this series, we covered how to respectfully layoff employees, how to handle employees’ emotional reactions, as well as what and what not to say when laying off an employee. Now, what happens after you’ve completed the layoff notification meeting? The effects of a layoff last far beyond the notification date, impacting employees who transition out of your workforce and employees who remain; turnover and talent poaching are common challenges following a downsize. Reductions-in-force can also pose risk to your reputation and cost you a chance at acquiring quality job candidates and loyal customers. 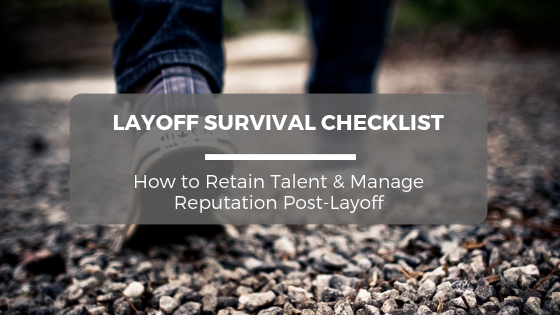 This checklist is designed to guide you through the aftereffects of a downsize and prepare you for the post-layoff risks to your talent, employer brand, consumer brand, and more. News of a separation event spur anxiety about the future, and concerns about short- and long-term changes. Emotions run high across all levels of the organization, many may experience grief over losing colleagues and friends to the downsize. The best strategy to keep employees engaged and to rebuild their trust is to prepare clear message points and action items specifically for those who remain. Address the same company-wide message to all employees as soon as possible after the event. Have a script ready in order to convey all of the necessary information. Keep your message consistent across all employees. Thank employees for their support both those who are leaving the organization and those staying. Be accessible for questions. This is a very stressful time for all employees so try to anticipate questions ahead of time and have the answers to those questions. Understand and address concerns of remaining employees. Remember: They may be losing friends, so be empathetic. Talent poaching refers to hiring current or former employees from a competitor or similar organization. Competitors are energized by a company’s lack of focus on engagement, and as a result, at the sign of vulnerability, they increase their efforts to take top talent and clients away from the competition. Designing an Anti-Poaching Strategy will help create an environment that is resistant to turnover. Consider aggressive counter-offer measures to keep top talent. 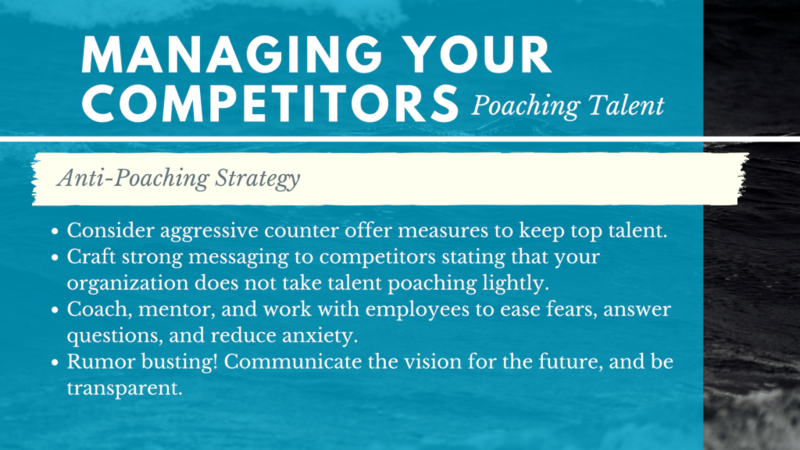 Craft strong messaging to competitors stating that your organization does not take talent poaching lightly. Coach, mentor, and work with employees to ease their fears, answer questions, and reduce anxiety. Rumor busting! It’s important to discredit rumors that are being thrown around when you’re having a layoff or merger. Communicate the vision for the future, and be transparent. The way you treat employees who exit the organization leaves a lasting impression on those employees and those who remain and witness that treatment. 80% of employees say they would consider switching jobs if they witnessed their colleagues suffer poor treatment or management at work. 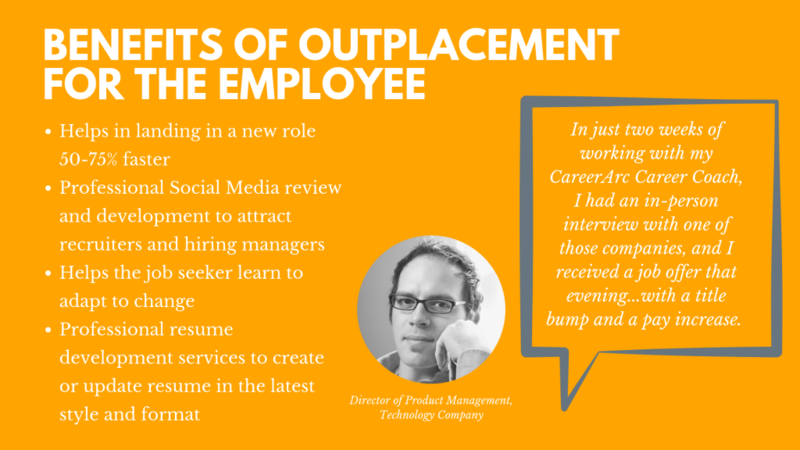 Employees who were provided outplacement after a layoff are 3x more likely to continue purchasing that company’s offerings after the separation event. Have one-on-one meetings to share the company’s vision and answer questions. Consider incentives. (e.g. bonus packages to be paid later, but earned during the time of layoffs/merger/acquisition.) Administer performance-based incentives. Maintain respectful relationships. Relationships don’t abruptly end; they change. Provide adequate severance when possible. 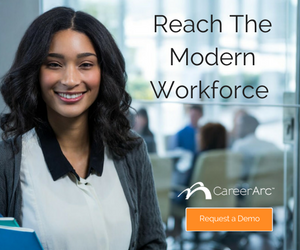 Provide Outplacement Services & Transition Assistance to help exiting employees land new roles more quickly. Implement an avenue for feedback (e.g. exit interview). Today, social media and employee reviews have a large influence on a company’s reputation. 87% of job seekers said that they would be less likely to apply for a job at the company after reading employee reviews of poorly conducted terminations or layoffs. Moreover, we found that a candidate’s experience throughout the application process factors into their purchasing decisions. 64% of respondents in our Employer Branding Study have switched brands or stopped purchasing products from companies tarnished by news of poor employee treatment. 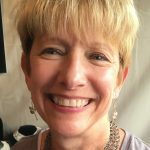 However, our data also revealed an effective resource that helps prevent negative reviews post-layoff: 38% of employees who were provided outplacement services—an employee benefit given to laid-off employees that helps them transition back into the workforce—were less likely to harbor negative perceptions of their former employer, and thus less likely to share a negative review. See more free resources on How to Conduct Reductions In Force (RIFs). Communicating layoffs is never easy. Read this checklist to help guide you through the aftereffects of a downsize and prepare you for post-layoff risks.